It all started when I finished school and started to study. During the winter seasons I instructed snowboarding and skiing, so I searched for something to do in summer. 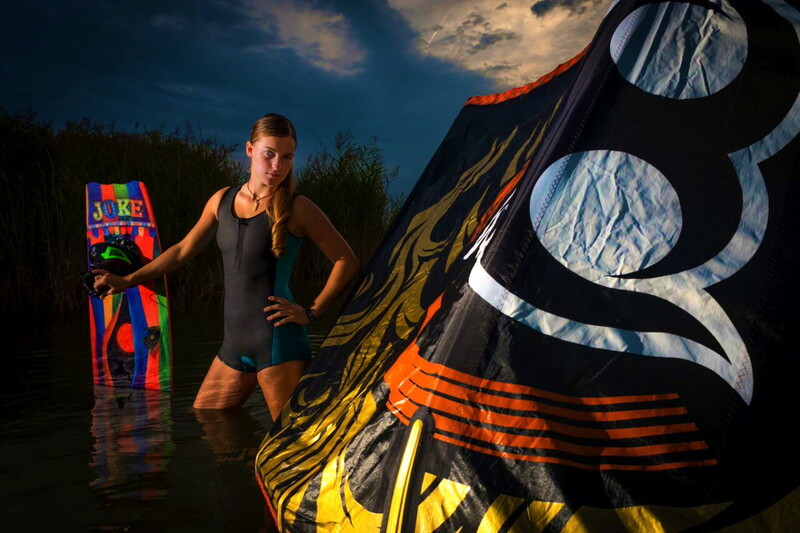 I started kiteboarding and wakeboarding and soon those sports became more important then the winter things. They started to fill my whole life and I decided to dedicate myself to wind and water. I did not just drop everything from one day to the other. 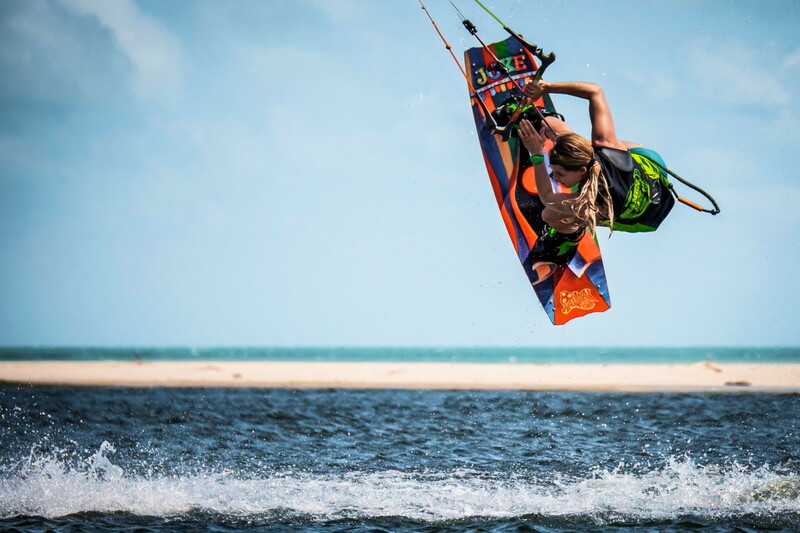 It took some years even without one single day on the water to realize how important all this riding was for me. I completed my Bachelor degree and concluded to do my Master studies through a distance learning program. It cost me a fine lot of money and I have worked damn hard to effort it, but man did it pay off! It now allows me to travel around the world and train throughout the whole year. For sure it was the best decision I have ever made. I already achieved some things I never even dared to dream about some years ago! I am competing against girls that I have been looking up at for years and still do. I have learned tricks people told me I would never be able to. I saw places people told me I would never go to. I experienced stories people told me are not possible. Belief in nothing but yourself and you can outreach dreams others will always only be dreaming about. I learned that exactly those people who wanted to discourage me and hold me back from my ambitions just do that because they did not have the guts to do it themselves. There will always be people who put obstacles in your way. Learn how to overcome them and ollie, slide, butterspin, shredd and rip them! My own biggest difficulty is that I live in the middle of the Austrian Alps. It’s always cold, summer just lasts for one or two months and I don’t have a kite home spot here. Lake Neusiedl, which is the most popular spot we have here in Austria, is five hours and the next cable is one hour away from my hometown (Innsbruck). Sticking a new trick is definitely what it is all about! 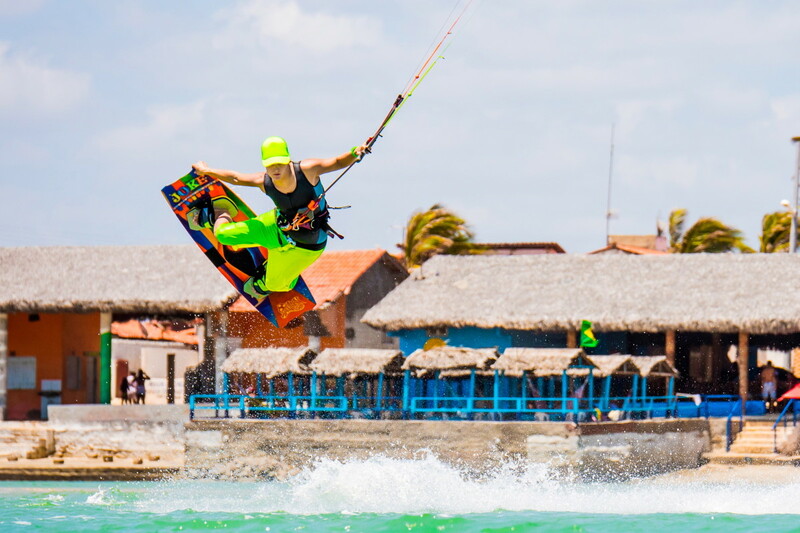 As most of us in kite- and wakeboarding do not have a coach, trainer or manager we have to push our limits every day on our own. But once you’ve overcome the fear of a certain trick and you landed it the first time …it was all worth it! Well I do a lot of off-water training, like activation training techniques, strength training, stretching and regeneration exercises. One very underestimated key to success are periodically planned breaks. But most of all my interdisciplinary training helps me a lot. 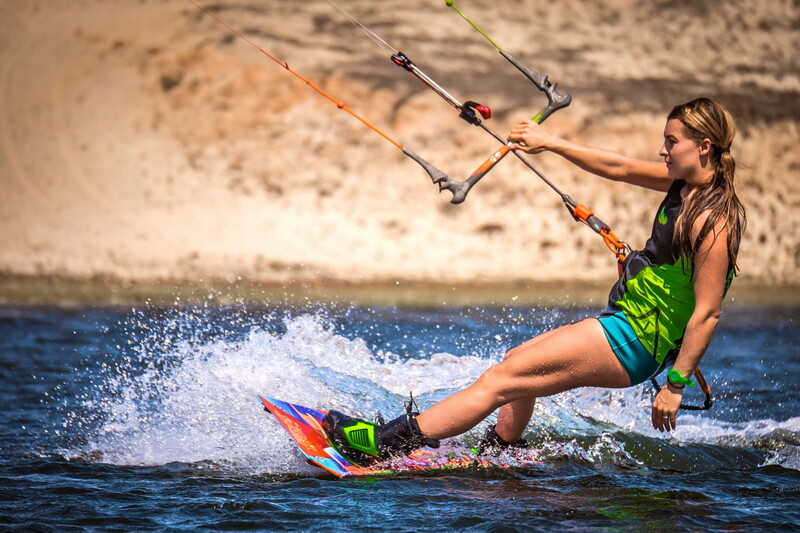 You can implement so much of kiting into wakeboarding –and the other way round! Focus and concentration are the most important factors during the training. I normally try to just focus onto one or two tricks during a session. If they just do not want to work out I try not to get too desperate and keep repeating old tricks to make them 200% safe. 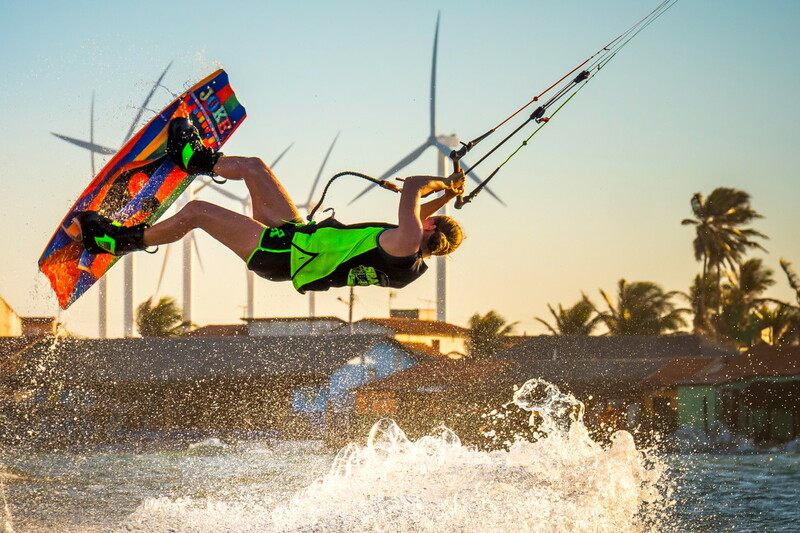 In kiting it’s always the question of the wind –if it will stay like that or change. 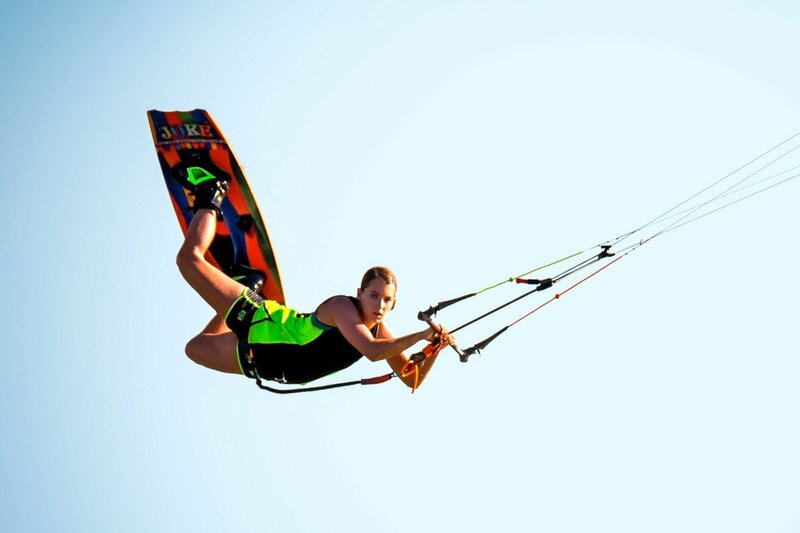 The kite size is the most critical success factor during a kite competition. So this always makes me most nervous. For sure it’s super hard to deliver your performance and show all the tricks you have been working on for months. And all that exactly during a few minutes of a contest run, being nervous and all pumped up with adrenaline and in front of a crowd watching every move… Wow, that feeling gives you just such a rush in your head and body! She’s so cute –she always shares and likes all my Facebook pictures and tells everybody to check out my Homepage to follow my travels. A good friend of mine told me that a short while ago. For me this sentence changed a lot. It turned the way I see my life and gave me a big push forward and still keeps me going on. Spending as much time on the water as possible! That’s what comes first and with it training, progressing and travelling as much as I can. Seeing as many spots and countries as possible and reaching a higher state of mind through all those impressions of different cultures, beliefs, philosophies, traditions and ways of life that I have stumbled upon during my journeys.